A ceiling fan is a great tool for cooling your house during summer and heating it during winter. It gives you comfort all through the year while at the same time cuts down your power bills. 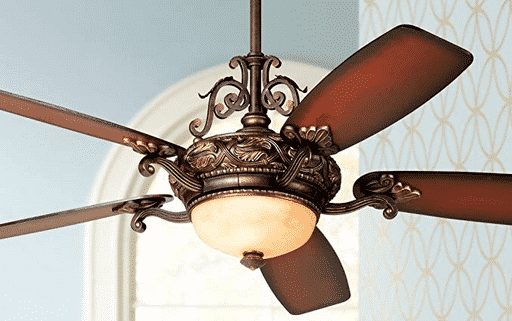 Replacing your old ceiling fan that is past its peak gives you many additional years of great benefits to your home. Over time, these units tend to wear out and begin wobbling or producing some clicking noise. The continued temperature variations may bring about some warping in the blades and hence, affect the overall functioning of the fan. The good thing is that you can replace your fan and restore the experience of having a great air circulation in your home. 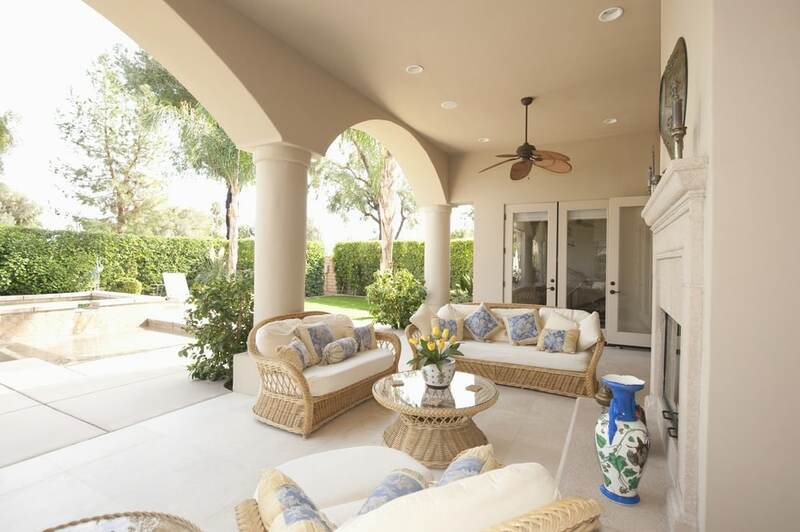 There are electronic controls and new hanging systems that have made this process easier. 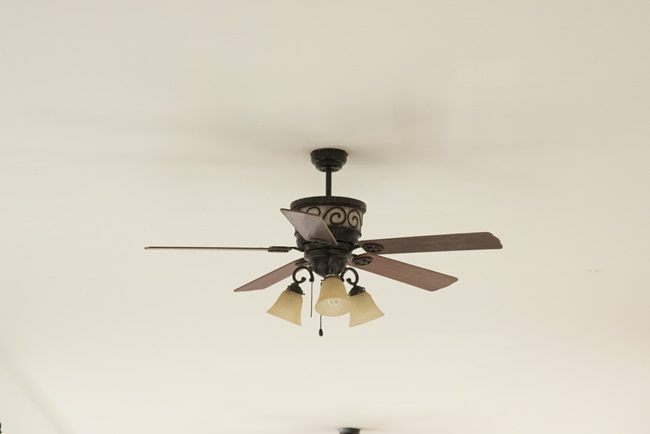 In this article, I will do my best to guide you through the process of how to replace your ceiling fan with a new unit. Before you install a new ceiling fan, you need to prepare the site where the installation will take place. By now we believe you have already identified your next fan unit. You then need to check with the relevant authorities to know if you need a permit or not. Some authorities require a permit to change a ceiling fan while others require you to get one if you are transitioning from a light to a fan. The next step is to turn off the power switch so that you work in a secure environment. You don’t want to work on live electric wires as this can have devastating consequences. Switch off at the main circuit box and test with the fan switch just to make sure that there is no power being supplied to the room. The next thing is to remove the canopy that covers the fan’s wiring. You need a screwdriver to remove the several screws that hold the canopy in place and then pull it down from the ceiling. After removing the canopy, you need to test wires just to ensure that there is no moving current. Use a non-contact voltage tester to check the voltage of each wire. Depending on your tester, a green light may be an indication of no power while a red one shows that there is power. It is a good idea to check your tester on a live outlet as well just to ensure it is working properly. Having opened up the canopy, the next step involving taking note of the connections. After you have finished removing the old fan, you will need to replace with a new one. Failing to connect the wires properly can be quite dangerous. Once you are sure about the connections, it is time to pull off the caps. You can do it by twisting them a bit and then pulling them off. It is advisable, to begin with, the black wires, then proceed to the white ones, and lastly green/bare wires. After removing the caps, pull the wires apart especially those that have been twisted together. You need to separate the ceiling wires and those that come from the fan to be able to pull it down. You can then pull the fan down and separate it from its mounting bracket. There is a ball-like feature that enables the fan to slide off its bracket. You may need some extra hand to hold the fan as you jiggle and slide it off its bracket. You then have to remove the bracket as the new fan unit has its own mounting bracket. The mount needs to be left in place as the new bracket will perfectly fit over it. At this point, you can check the box and the wires to ensure they are in good working condition. Check also the mount to ensure that it still has the capacity to hold the bracket securely. If there is any problem with the wires or the mount, you will need to enroll the services of a professional to fix them before installing a new unit. Now that the old fan unit has been removed, it is time to put up the new unit. The first thing to install is the ceiling bracket. The new fan comes with screws that will help you secure the bracket on the box. Use the center hole of the bracket to bring out the ceiling wires. Use the brace above the bracket to line the mounting bolts and then slide or clip the bracket over the bolts. Use the provided screws to secure the bracket and if needed, refer to the instruction manual that comes with the fan. The next step is to work on the process of easing the wires that come from the fan’s motor. The wires need to be fed through the canopy and then through the down rod. The down rod then needs to be screwed in place and tightened using a wrench. To eliminate issues of wobbling, the locking screws need to be properly tightened. If your unit doesn’t come with an attached ball mount on the down rod, you need to attach it and secure it properly using a pin. You may also choose to install the blades before taking the fan up the ladder. The next step is to lift the fan and put it on the ceiling. You may need extra hands to get it from the ground up to the bracket. The topmost ball should be able to easily slide into the bracket. You then need to hang the canopy edge to be able to work on the wiring. With the help of a wire stripper, scrape the wires. You may need to cut them to between 6 and 8 inches to match the length of the wires coming from the ceiling. The plastic at the end of the wires needs to be stripped off to enable joining with their matching wires from the ceiling. With the help of a wire nut, connect the bare copper wire with the two green wires. Twist the wires together to connect them. The two black and the two white wires also need to be connected. Once the wires have been connected, they need to be tucked up in the brace. If you had already attached the blades, the next step will be to add the lights. Use the instructions manual to guide you on how to connect the light kit and how to add the light bulbs. Put the pull chain in place and then tighten the screws. Once you are convinced that everything is in place, put the power back on and test the fan to ensure it is working properly. Replacing an old fan used to be a very frustrating experience a couple of years ago. The situation is now quite different as most manufacturers have come up with versatile mounting systems that make this process easier. These systems combine with strong ceiling boxes to make it possible to mount any ceiling fan in a quick and faster way than ever before. Installing a new ceiling fan is one way of reducing your energy consumption bills. It also enhances the much-needed comfort in your home. Once you know how to replace a ceiling fan, it will be an easy process for anyone to do it by them self.